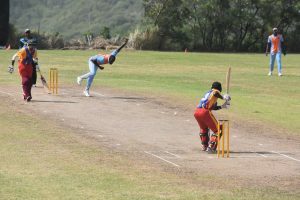 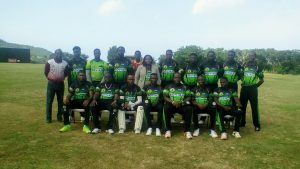 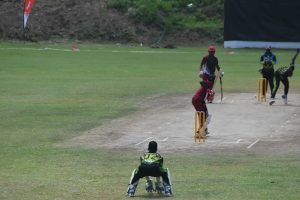 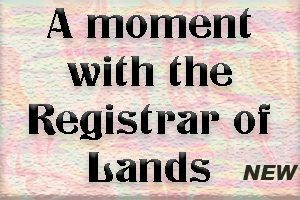 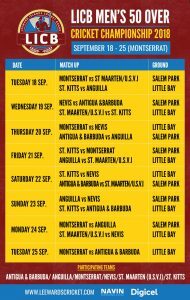 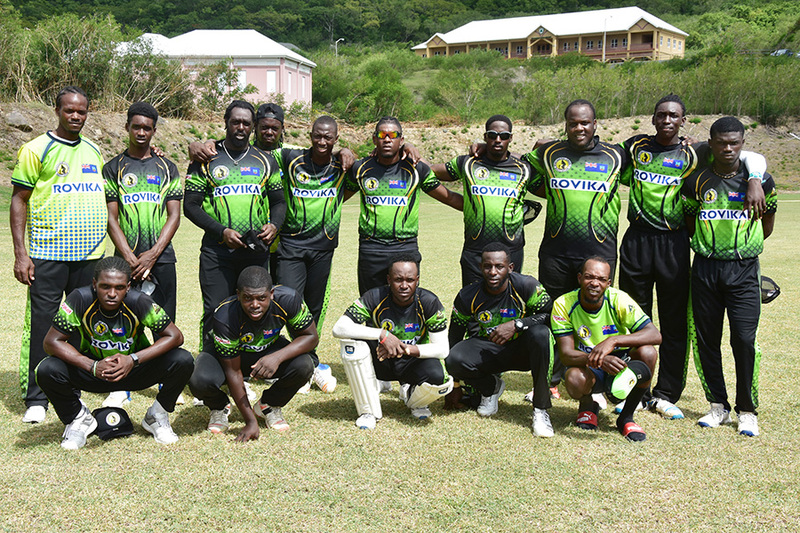 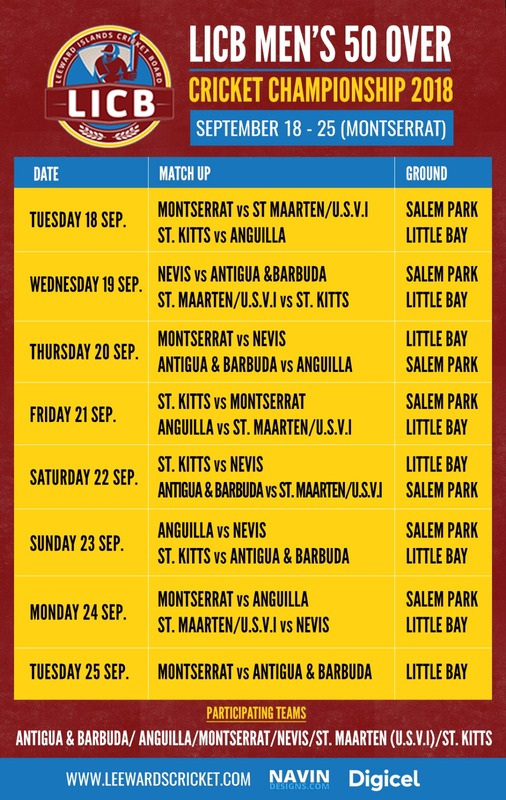 Montserrat defeated St. Maarten by 5 wickets to open the LICB 50 overs Championship. 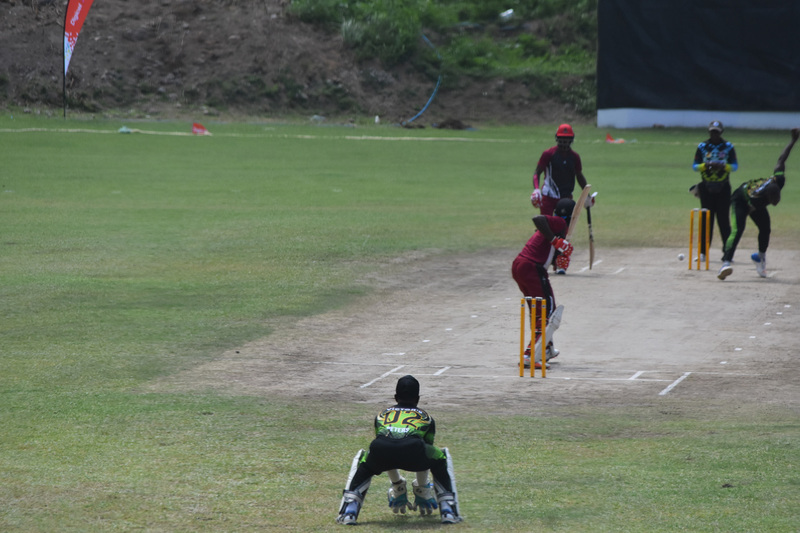 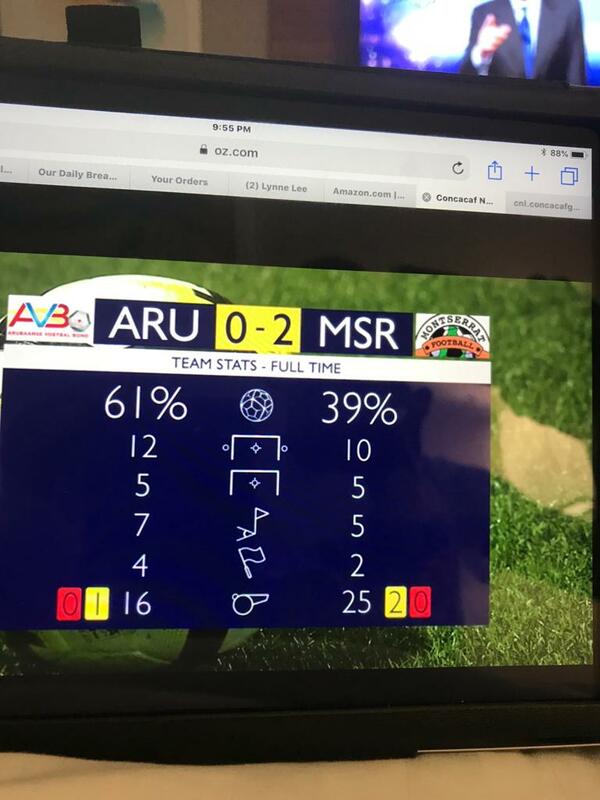 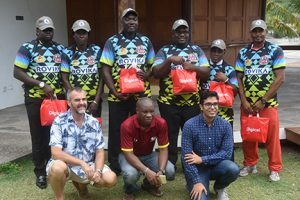 Chasing 133 runs for victory, Monserrat completed the task with 24 overs to spare. losing 3 quick wickets for in the space of 3 overs and 9 runs, Jaison Peters (20 runs) and Deno Baker (26 runs) both steered Montserrat to victory with an unbeaten 35 run partnership. 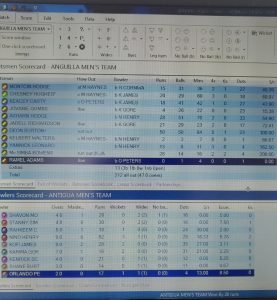 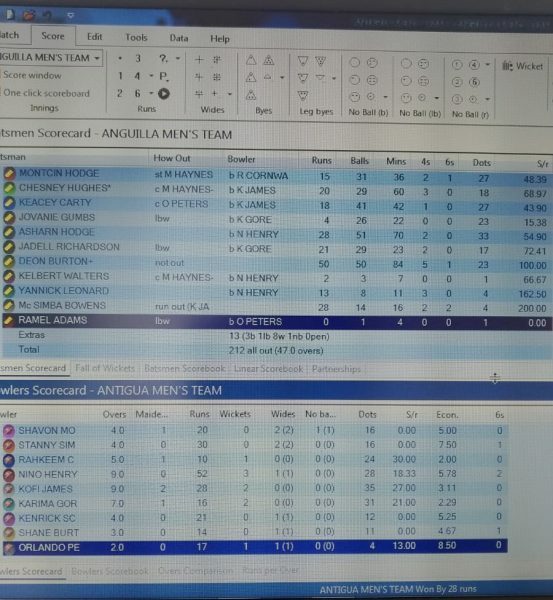 Leading bowler for St. Maarten was Daniel Doram who took 3 wickets for 55 runs from 10 overs assisted by 1 apiece by Chad Hampson (1-35) and Shadrack Descarte (1-33). 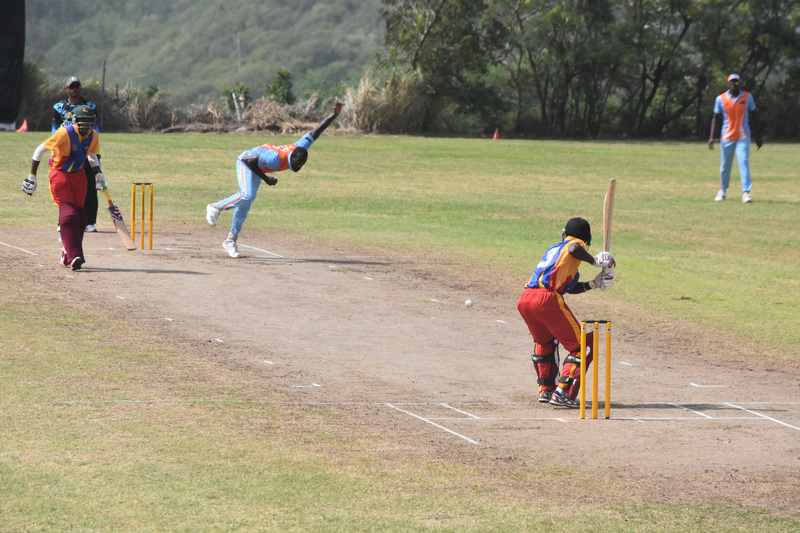 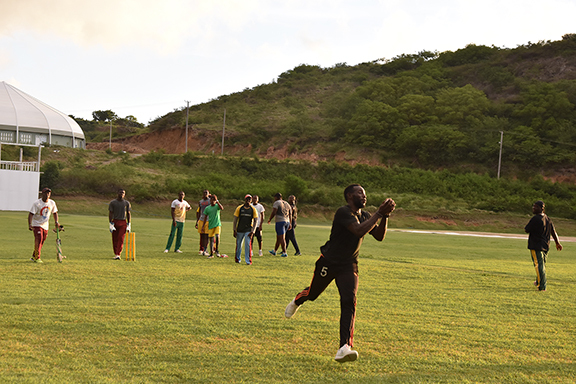 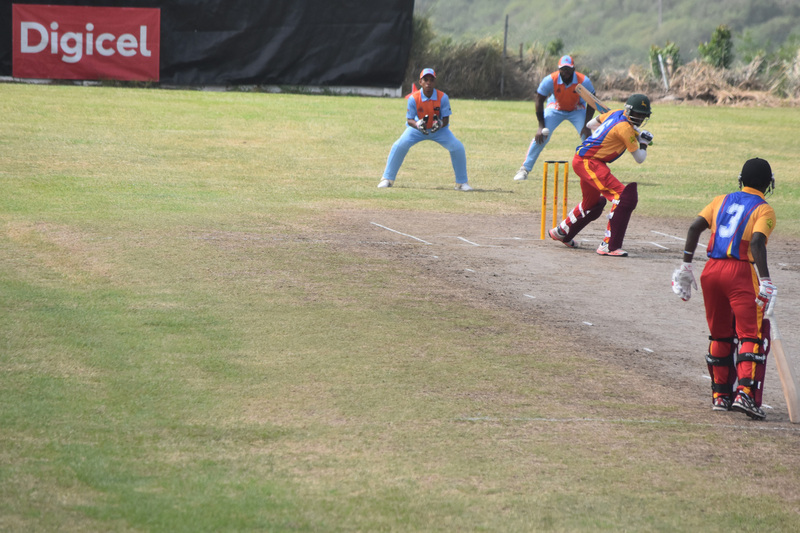 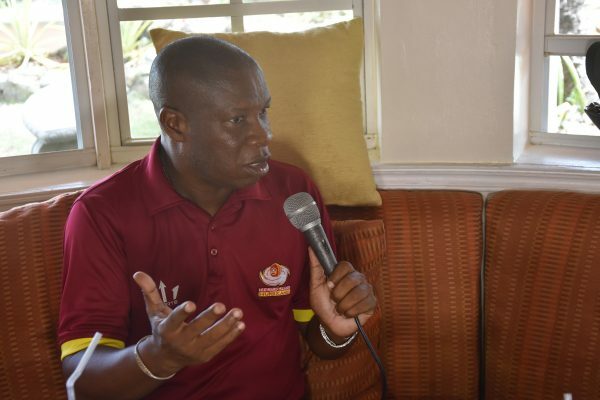 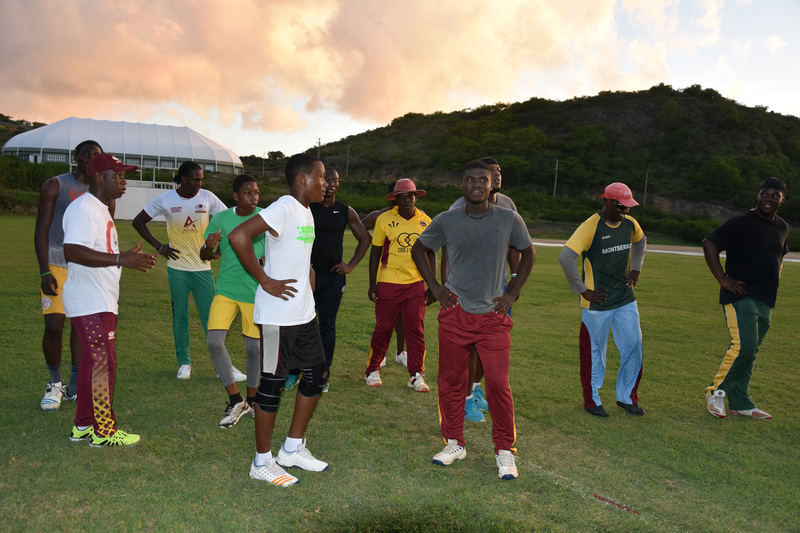 Earlier St. Maarten was bowled out for 132 in 36.2 overs with the left handed Akeem Charles top-scoring with 34 runs. Marinal Wadhwa contributed 23 runs to the total. 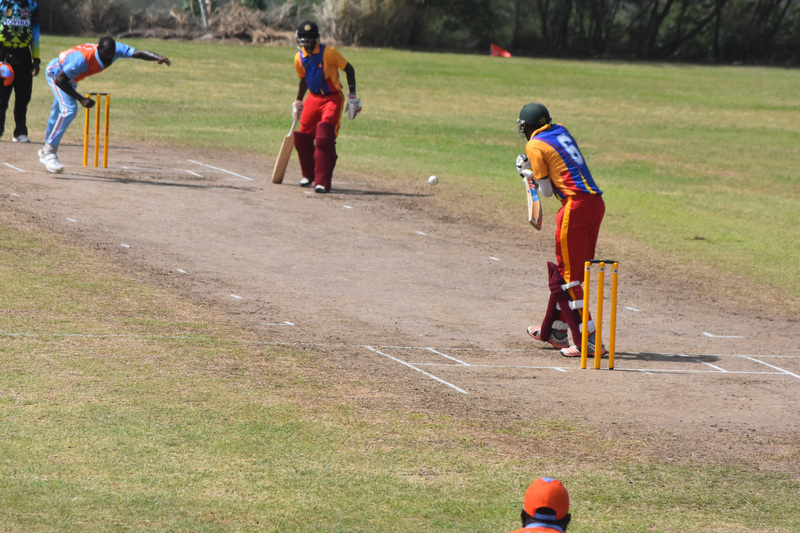 Both batsmen contributed to the most productive partnership of the innings scoring 60 runs for the third wicket. 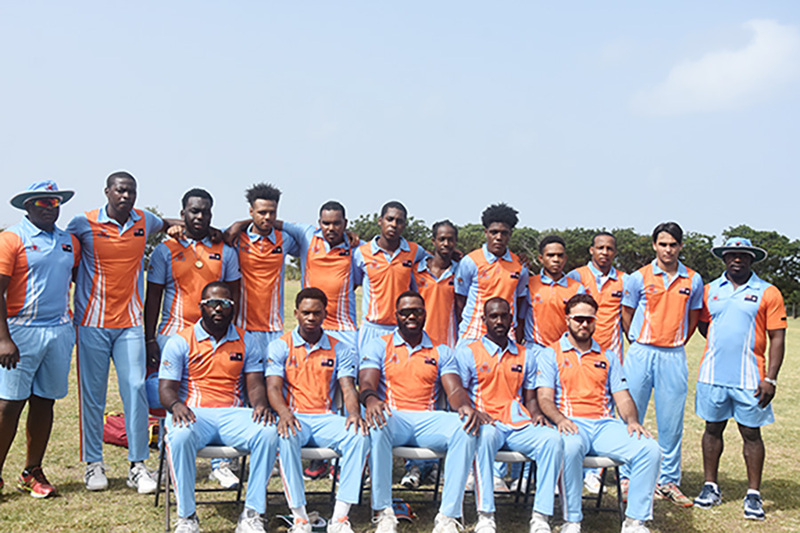 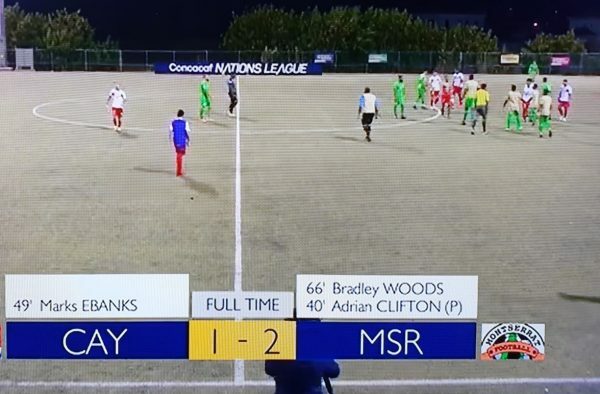 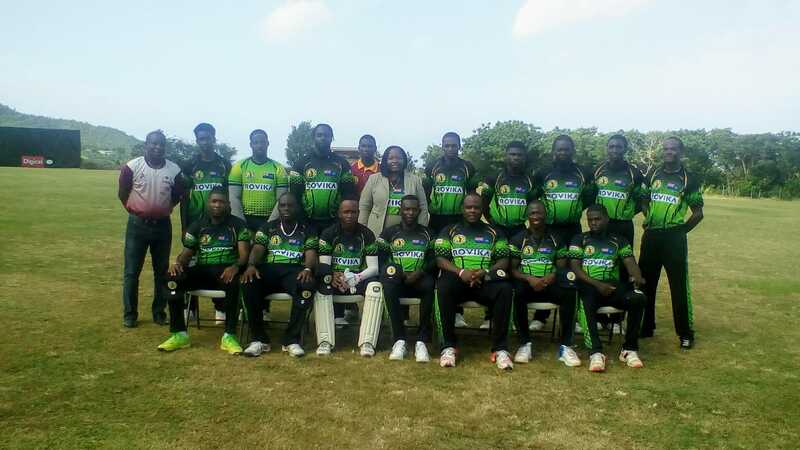 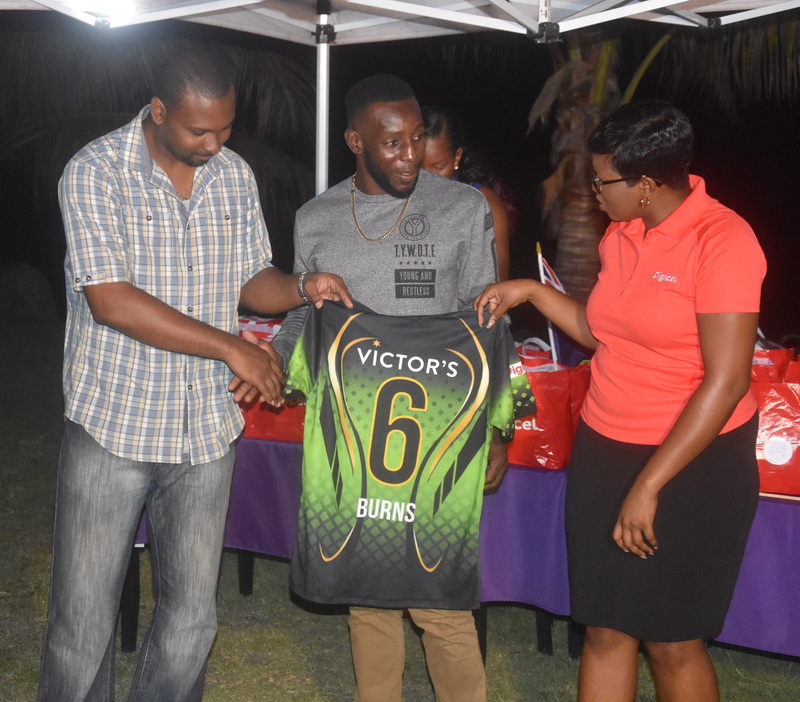 But Deno Baker’s 6 wicket performance which included the wickets of both batsmen ensured that St. Maarten were limited to 132 runs. 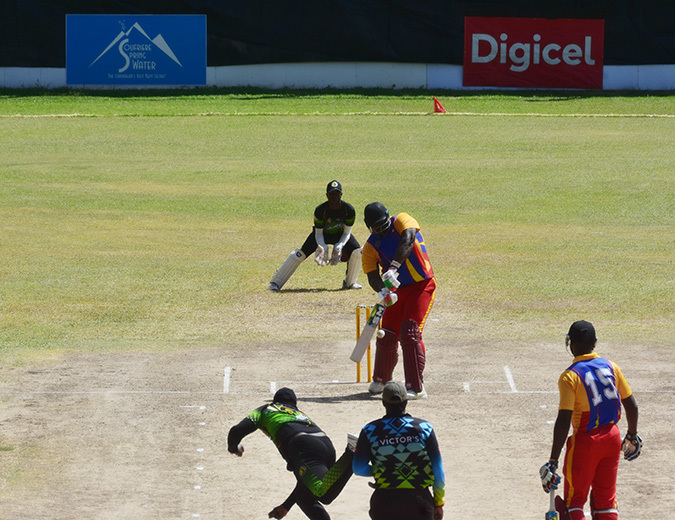 Baker’s final figures were 6 for 25 from 10 overs contributing to his stellar all round performance that earned him the Man-of-the-Match. Research from the #Commonwealth Secretariat highlights the potential role #diaspora communities in the #UK can play in promoting the development of their countries of origin.